This resource is an excellent tool to have in your teachers arsenal. 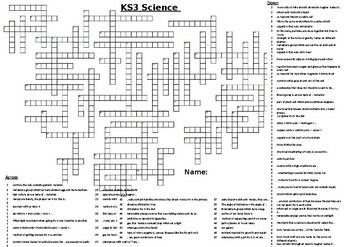 It is a large crossword that draws on general science knowledge. Great for revision.